The new BelugaXL (Airbus A330-700L) landed at Toulouse-Blagnac Airport, France, at 2:41 p.m. local time on Thursday after a flight of four hours and 11 minutes. 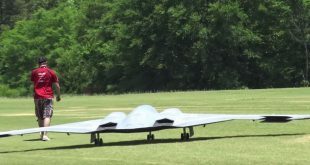 According to Airbus, the first of five aircraft has successfully finished its first test flight. Airbus says the BelugaXL will undergo some 600 hours of flight tests over 10 months before entering expected service in 2019. 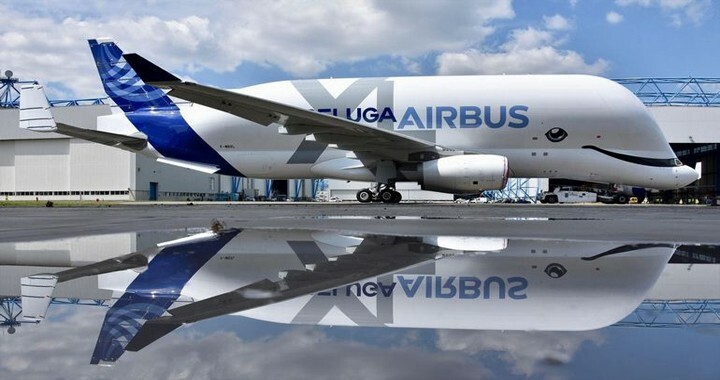 The smiling whale design of Airbus BelugaXL was chosen by Airbus staff following a poll in which 20,000 employees were given six options and asked to choose their favorite. With 40% of the vote, it was the clear winner. It’s based on the A330-200 airliner, which became known as the “Beluga” because of its resemblance to the white Arctic whale. “The need for the new Beluga comes with the increase in production rates and to get extra capacity on top of this fleet of five aircrafts,” Stephane Gosselin, head of Airbus Transport International said. Tags First flight of Airbus' BelugaXL flying whale Watch: First flight of Airbus' BelugaXL " flying whale"